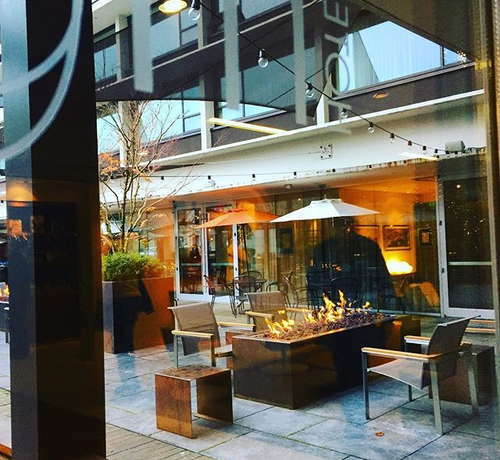 Portland is known for being fun, eclectic, laid-back, and artistic - and nowhere is this captured better than at Hotel Modera. 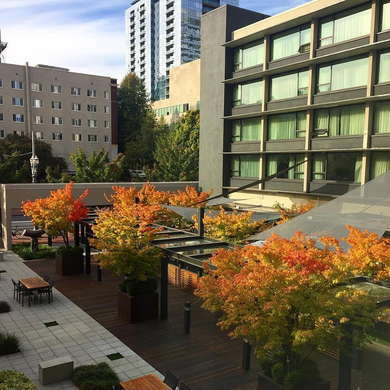 This boutique hotel in downtown Portland captures the essence of the City of Roses with contemporary design, a casual-but-cool vibe, and one-of-a-kind features you won’t find anywhere else (like the living green wall--the first of its kind in the city). 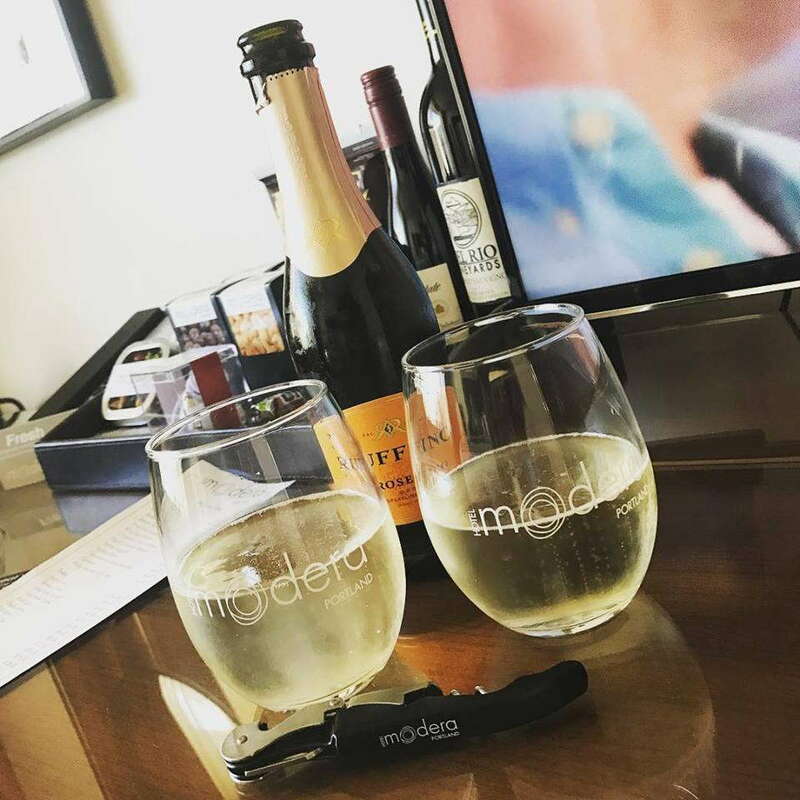 All the rooms at Hotel Modera (there are 174) have a view, either of the downtown skyline or the interior courtyard, and come equipped with modern amenities like flat-screen TVs, iPod docks, and complimentary wifi. And the bedding is to die for (seriously… between the pillow-topped mattresses and cozy down comforters, you’re not going to want to get out of bed). The bathrooms at Hotel Modera are just as contemporary in design as the rest of the hotel, with marble finishings and eclectic artwork. The bathroom also comes stocked with plush robes and Tarocco toiletries. YOU SHOULD KNOW From a design perspective, the bathrooms are great. But from a functionality standpoint, they could definitely be bigger and offer more counter space. 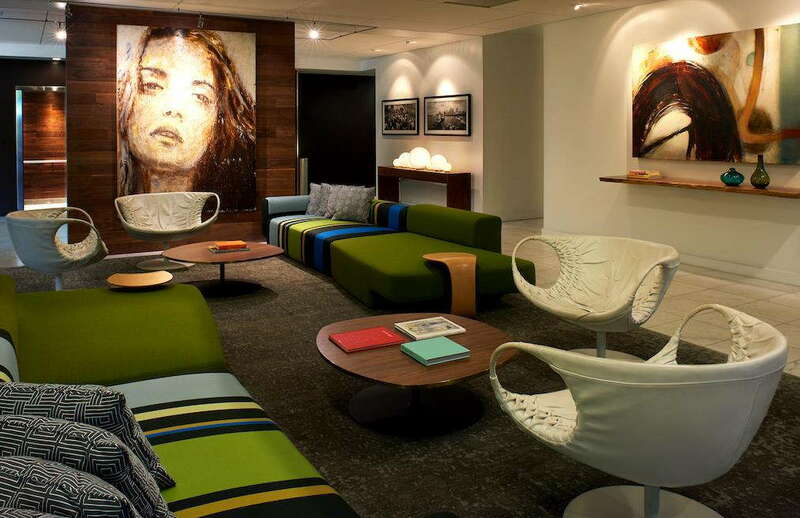 The lobby of Hotel Modera is warm and inviting, with bright, contemporary couches and plenty of art to keep your eyes occupied. In addition to the lobby, the Hotel Modera also The Colosseum, a community room where guests can shoot pool, play darts, or just relax and mingle. 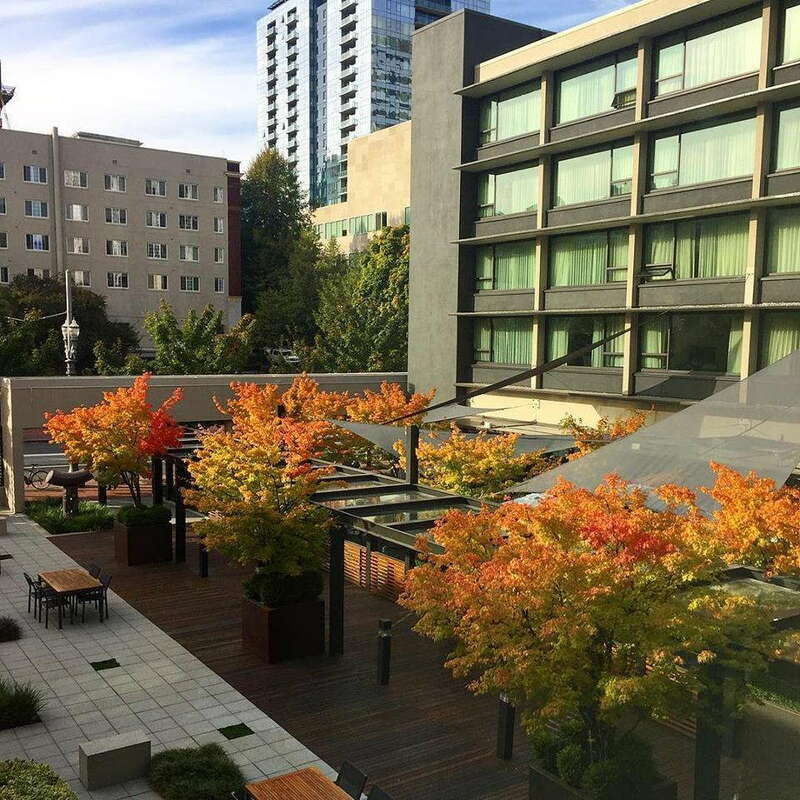 Unfortunately, there’s no gym at Hotel Modera, but there’s plenty of opportunities to explore downtown Portland on foot, so you can definitely get some steps in. If you really want to get a workout in, there’s a 24 Hour Fitness just a block away - and you get a complimentary pass if you pay the hotel’s amenity fee, which is $20 per night. 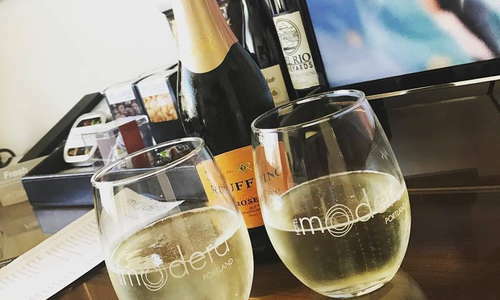 Nel Centro, Hotel Modera’s on-site restaurant, has an eclectic menu of dishes inspired by the cuisine of Northern Italy and Southern France with a focus on seasonal, locally-sourced ingredients. There’s no bar at Hotel Modera, but Nel Centro does have an extensive cocktail menu (make sure to try the Guava Margarita). Stop by at happy hour (4 to 6 p.m. daily) for great drink specials. You don’t need a car in downtown Portland; the neighborhood is extremely walkable, and if you need to get elsewhere in the city, Portland is known for its excellent public transportation system (the nearest MAX Light Rail Station is only two blocks away). If you do decide to bring a car, expect to pay $38 per night for valet parking. Hotel Modera’s location puts you within walking distance to some of the best dining in the city. Try Raven & Rose (4-minute walk), a charming pub in the historic Ladd Carriage House dishing up comfort food inspired by traditional British and Irish dishes. Another can’t miss is Higgins (5-minute walk), a classic Portland restaurant (Higgins has been in business for more than two decades) known for its country classic dishes made with ingredients from local growers, farmers, and fishes. If you like your cocktails with a side of nostalgia, head over to Ground Kontrol (17-minute walk), a local arcade that serves a varied selection of local beers and craft cocktails alongside the quarter-machines of your childhood. Where else can you play “Turtles in Time” or “Street Fighter II: Turbo” while you sip on a local brew? 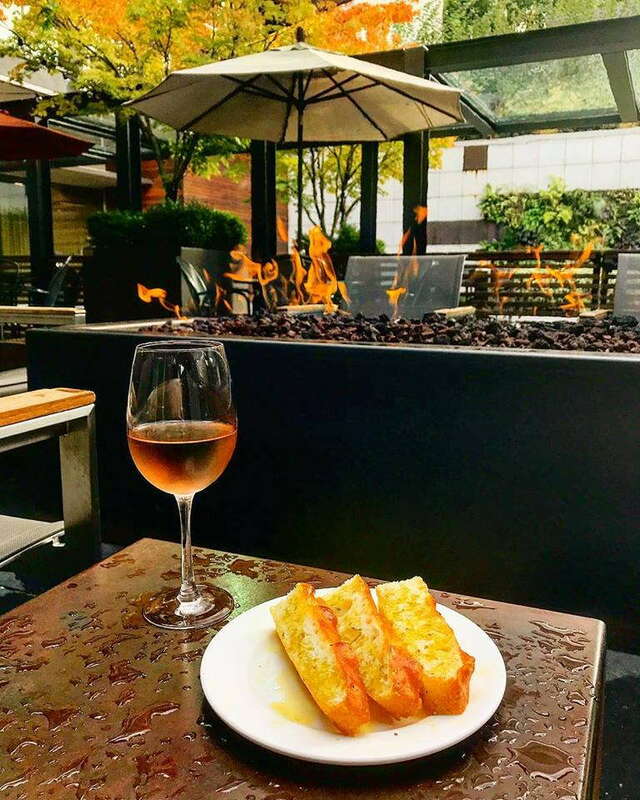 If you’re in the mood for something a bit more on the quiet side, try Oregon Wines on Broadway (12-minute walk), where you can sample an impressive selection of wines from the Willamette Valley by the glass or by the bottle. 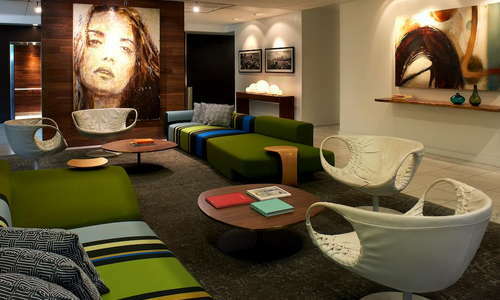 There isn’t much not to like about Hotel Modera. 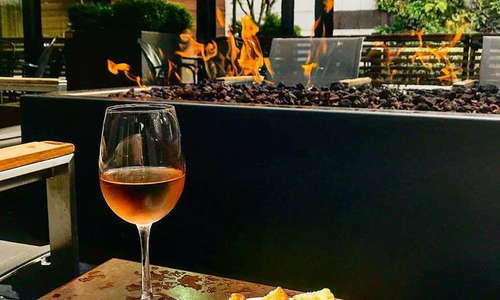 The contemporary furnishings, the artistic vibe, and the easy access to some of the best restaurants, bars, and entertainment the city has to offer makes this a must-add to your short list of places to stay in Portland.